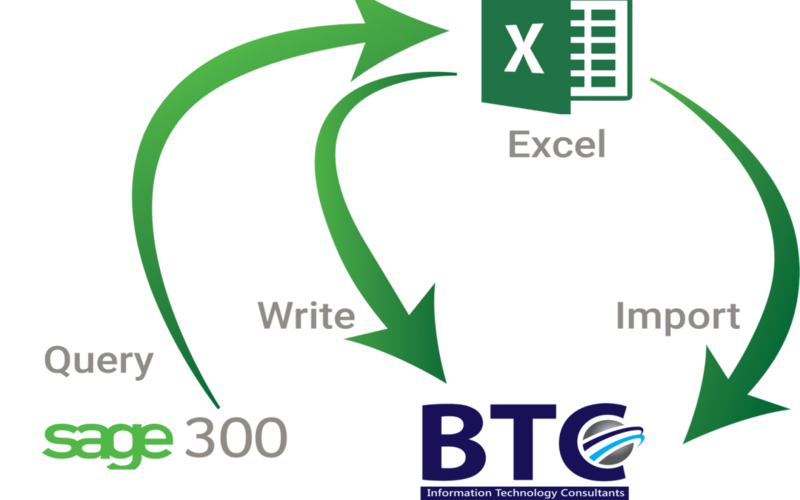 Ready to Migrate from Microsoft Excel to Sage 300 ERP in UAE? It has been observed that in the recent years, many organizations and companies have shifted their business records and transactions to new Sage 300 ERP platforms to facilitate the employees and customers of the organization. These companies also observe that these shifting and migrations have played a key role in improving the business situations as they are able to maintain the operations and transactions through a proper ERP solution like Sage 300. But why the companies should prefer new Sage 300 ERP system for their businesses in the UAE? It is a wonderful question and for answering that, we are giving some reasons through which you will be able to understand the value of this system and can make your mind to implement it in your organization as well. The general trend in the companies is that they use Excel, but the reality is that it is not suitable for the organizations of significant size. Although the performance of Excel is not below average, but it is suitable only for startups as with the increase in the business, the complexity of the business operations and transactions increases, so there is a need of more accurate and efficient results and due to this particular reason, the companies are now preferring Sage 300 ERP system especially in the UAE. As there are numerous ERP platforms which are available in the market, but all have the different value in different types of organizations. The importance of Sage 300 ERP system increases in such a way that it has the ability to control industry requirement procedures, complexity and size of the company, customization according to the need of the business and compliance. Due to this reason, the Sage 300 ERP system is considered the ideal one, especially in the business environment of the UAE. Perhaps, you also want the integration of other applications and for that, no system can perform better than Sage 300. As the technology has been improving for many years and new versions are getting the attentions of the users. In these circumstances, the best practice is to retire the old ERP systems and incorporate Sage 300 ERP system in the organizations of UAE and you have no need to keep updating the newer versions. Along with that, the migration of data from other applications also makes this ERP system the most suitable one in the market. The users of Sage 300 ERP system in UAE are very satisfied with the performance and it has been proved through a research which shows that more than 65% users of this application think that they got their investment back in less than a year. It means that Sage 300 ERP system can be a good investment as well as the specific business environment of the UAE.